swag - Between Us Sisters, Inc. This swag is made by us from gently aged muslin. 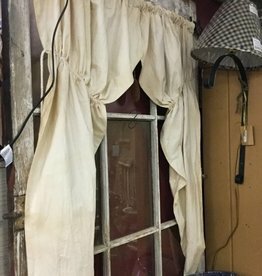 It hangs down approx 45" and will fit up to a 36-40 in window opening.